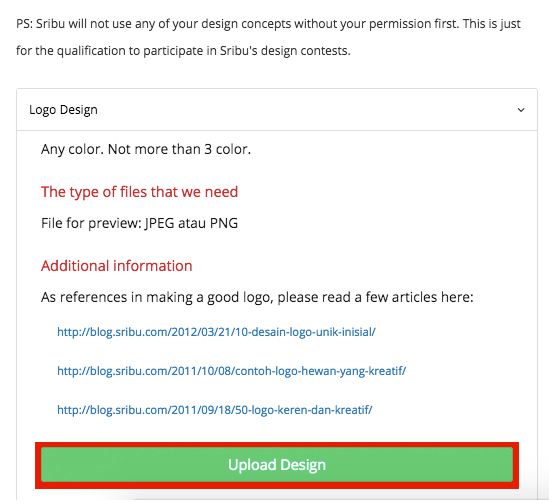 After you've completed the registration process and open an account at Sribu, you must then undergo a Designer Examination or Designer Test. The objective of this test is to maintain quality and professionalism of Sribu designer community. 1. After login, you'll be directed to a "Get Started" page. 2. 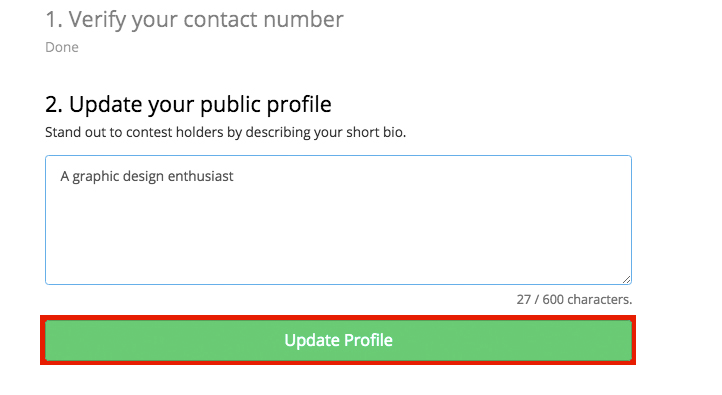 Furnish your biodata for a more convincing and professional profile information for client, then click "Update Profile". 3. 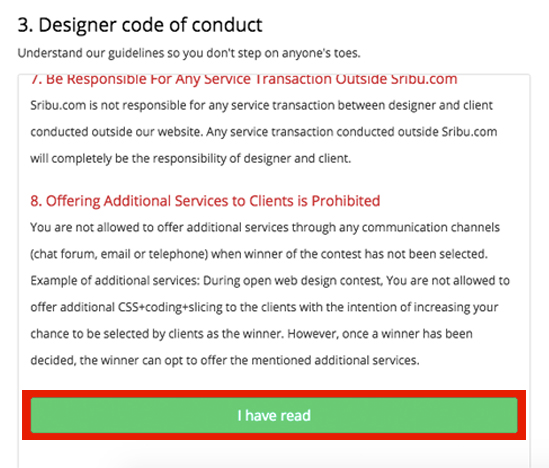 Read and study the designer code of conduct before joining the test. Click "I have read" to continue. 4. Next, you'll be directed to the exam page. Choose the category you wish to try and upload your design. 5. Once you've uploaded your design, Sribu will begin a qualification process and will notify the result by email in at least 7 working days.